USED ON BALL JOINTS, U JOINTS, BRAKE ANCHOR PINS. COMPLETE W/ 8 PIECES AND NEW STYLE FORD BALL JOINTS. 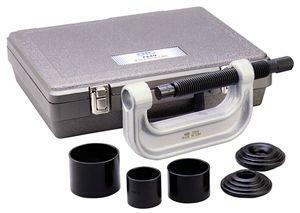 * Please call us with any questions about our ball joint press w/ box rentals in South St. Paul MN metro area.